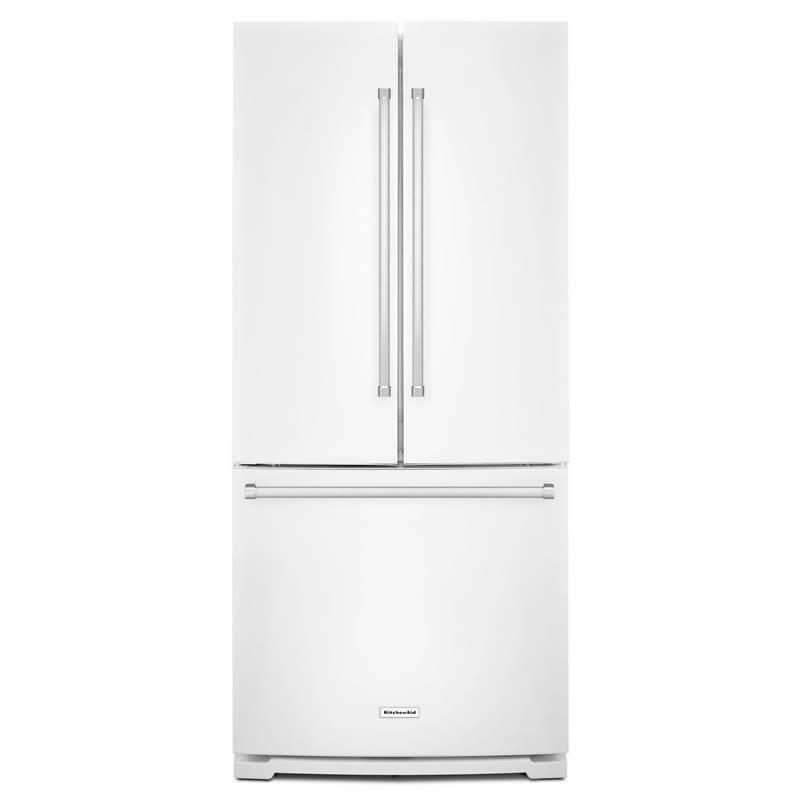 KitchenAid® 30-inch wide standard depth french-door refrigerator with interior dispenser. This refrigerator provides a 19.7 cu. ft. total capacity with a full-width pantry and a factory installed ice maker. It also offers the ExtendFresh™ temperature management system that uses sensors to help ensure all your ingredients remain at the appropriate temperature. Total 19.7 cu. ft. / 0.56 cu. m.
Refrigerator 13.34 cu. ft. / 0.38 cu. m.
Additional Dimensions • Height To Top Of Cabinet : 67 1/2"
• Depth with Door Open 90 Degrees : 44 1/8"
• Depth Excluding Doors : 28"
• Depth Closed Excluding Handles : 32 1/4"
• Width with Doors Closed : 30 1/8"